A home’s kitchen is a centerpiece for gathering and celebrating moments with family and friends. Your kitchen design should be comfortable, inviting, and a place you want to spend time. InsideOut Renovations in Lincoln, NE, can help you take on that kitchen remodeling job and make your dream kitchen a reality. Not every home needs a six-burner range or Italian marble counter tops, but yours might. When considering your new kitchen design, think about a typical night of cooking and the things you use the most. Is there something that always bothers you while cooking? What do you love in your current kitchen? 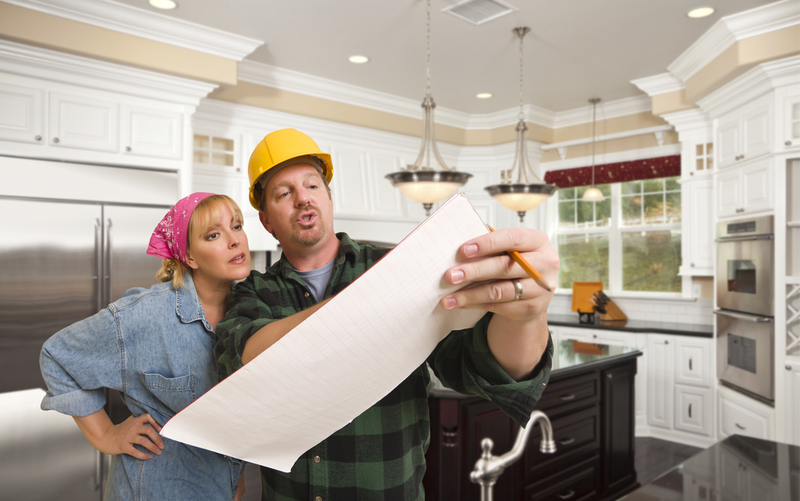 Be honest with your contractor about the things that matter most. When all is said and done, you’ll be the one spending time in the kitchen, so make it work for you. Remodeling and updating a kitchen has plenty of practical applications, but it is also a great opportunity to add some touches to your home you’ve always wanted. Visual references and suggestions will help you and your remodeling contractor to stay on the same page and end up with a new kitchen you are both proud of. Once you’ve established your end goals with a contractor, the real work begins. A full kitchen remodeling can take anywhere from four to eight weeks, sometimes more. Plan ahead for easy meals that don’t the require use of a full kitchen. It’s a perfect excuse to make dinner plans with those friends you haven’t seen in too long or revive a favorite college ramen recipe. With years of expertise in kitchen design, custom cabinetry, and all around remodeling, InsideOut Renovations is ready to work together to create your dream kitchen. Give them a call at (402) 474-0028 or visit their website to get started on your ideal kitchen.